Irish customers over 18 years old. We are mainly aiming for customers from their late 20s to 50s who want to quit smoking or who already have and are using electronic cigarettes and vaporizers. The flavours of the liquids are mostly based on sweets from their youth so there is a touch of nostalgia for the customer and an assurance that we are Irish based and can relate to them on all levels. That the product is made in Ireland. That the product uses natural food ingredients. That the product is high quality. Simple, Fun, Safe, Nostalgiac, Clean, Irish (no leprachauns or shamrocks but the Harp symbol is most welcome). Contains Nicotine.Keep Locked Up,keep out of reach of children.Wear suitable clothing and gloves.Fatal if swallowed.In case of accident or if you feel unwell seek medical advice or call poison centre and have product container or label to hand. Danger: Very toxic when in contact with skin. 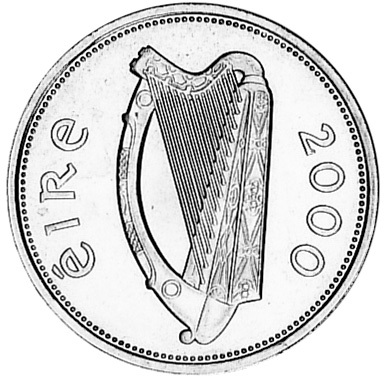 We would like the harp in the circle to be our logo, similar to the back of the Irish currency seen in this link http://ngccoin-production.s3.amazonaws.c... You could put the text 'Republic of Vape' instead of the 'ire' text. The attached files should show what the packaging looks like folded out and the inner packaging is also shown attached to the outer packaging in the scan also. The inner packaging is attached to the top image of the outer packaging (I hope this makes sense.) The inner packaging is the small label that goes on the bottle.